The Hindu epic the Mahabharata belongs to a different age and a different continent to the saga of Brexit. But there’s something in its timelessness and exploration of the complexity of being human that has powerful echoes. 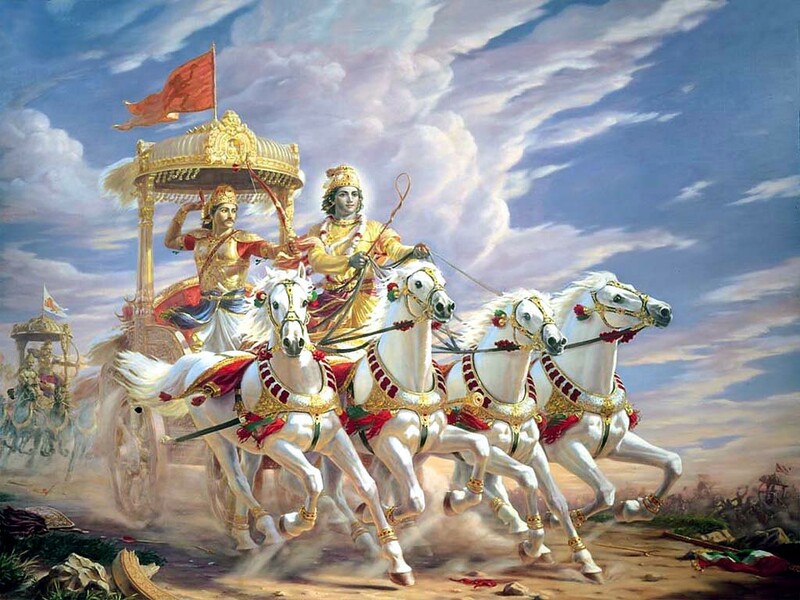 The Mahabharata is a complex epic. The snag with producing a quick summary is its richness is in the detail, in the complexity of what happens across generations and extended families, and the interplay of virtue and messy human reality. Reducing The Mahabharata to a story of the conflict of good and evil makes sense in Western terms, but looses much of the point of it. I first read it in an attempt to get a better understanding of the Hindus in Bali soon after reading a book on Jung’s lectures on the Ignatian Spiritual Exercises. Jung makes sense of some of Ignatius’ ideas by talking of the devil as the fourth person of the Christian Trinity. His underlying point is that things seem to come on groups of four for humans, raising the question of what’s missing in the Christian concept of the Trinity (God as father son and Holy Spirit). In practical terms of spiritual direction this is a really useful concept because it holds a space for that of God that’s outside people’s conception of God. With more of a psychoanalytic lens, it shifts the dynamic from pushing things away as “evil” or “the devil” in a crudely-dualistic way. One of the fruits of that is to help people own both their limitedness and their capacity for evil, rather than simply to project it onto others who then get labelled as “bad”. Not doing evil things involves owning one’s ability to do just that and choosing not to go there: assuming that evil is what “bad people” do is a recipe for rationalising one’s way into doing appalling things.